THE TWO HOMES ARE 50 YARDS APART FROM EACH OTHER AND ARE IDENTICAL. IF THIS HOME IS BOOKED GO TO LISTING # 1153505 THE RATES ARE SEPARATE FOR EACH HOUSE. This private home rests in the perfect location.This is two blocks from the Park City Ski Resort, only a five minute walk to the resort, It features a great view of the mountain and the skiers whooshing down the slopes. It is just a ten minute walk to main street where all the shop's clubs and restaurants are.There is also a Free Shuttle that stops every 6 minutes to take you to all the site's. 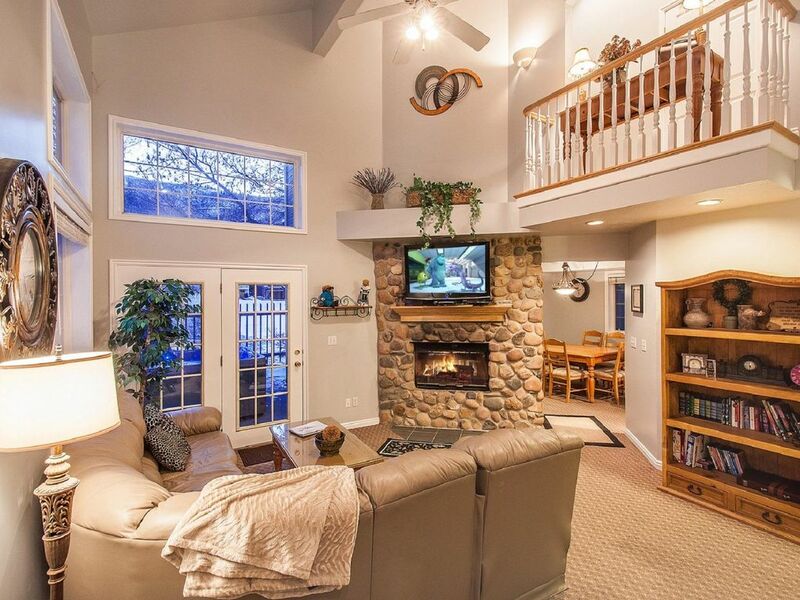 The home is very spacious and exhibits vaulted ceilings, custom hardwood floors and cabinets, a living room and dining room, double-sided fireplace, double car garage, and a private outdoor hot tub to relax in after a great day of skiing. The back yard opens up into a beautiful, two acre, park where the children can build a snowman and sled down a small hill. There is also a library which offers a wide variety of entertainment which is within 200 yards of the home. SEE YOU SOON !!! 30-50% off on non Holiday weeks Special discounts based on availability Possible Discounts and or Free Nights for extended bookings Rates are subject to change, call or e-mail for details about your specific dates of interest.